The Brazilian Development Bank (BNDES) has emerged as a goliath financier of large-scale energy and infrastructure development in the Amazon and elsewhere in South America. One of the last wild river watersheds, the Tapajos, in the Brazilian Amazon is being targeted for a complex of large hydroelectric plants, some of which are located in protected areas and indigenous territories. This SRI will make sense of the massive investments pouring into the Tapajos region of the Amazon and examine the impacts of this development on the forest and traditional communities. A series of high quality articles appearing in a range of media could potentially increase discussion of the bank’s lending policies. 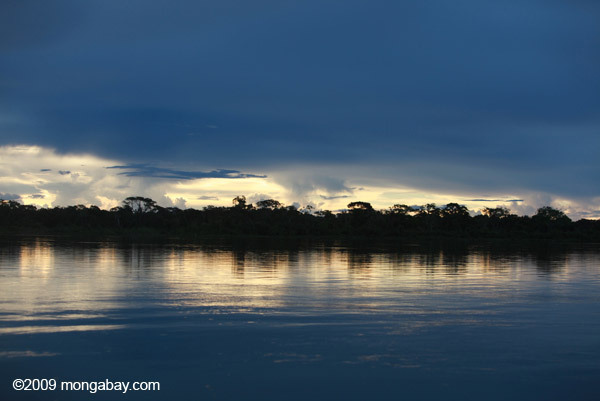 What are the large-scale projects the Brazilian Development Bank is funding in the Tapajos watershed and what will the impact be on the natural systems? What are the perceptions of indigenous and traditional communities about these plans? Are there development plans or programs that can or should be implemented to minimize the social and environmental impacts of large-scale, publicly funded projects in the region? What lessons can be learned from other mega-project development, such as the Belo Monte hydroelectric dam in the Xingu region? This SRI offers a special opportunity for joint applicants who will publish English and Portuguese-language stories in English and Brazilian publications. Team applications must include two or more journalists and must be submitted in English. Should a bi-lingual team application be selected for this SRI, the grant will be up to $30,000, including $22,000 for a stipend and up to $8,000 for travel to be split between the team. For information on how to submit a joint application, please email SRI Manager Tiffany Roufs. Individual journalists are still encouraged to submit an application. If the winning application comes from an individual or a team that plans only to publish in English, the SRI grant will be $20,000, including $15,000 for a stipend and up to $5,000 for travel. Winners of this SRI will be expected to produce a substantial series of articles to be published on Mongabay under a creative commons licenses, and to publish additional related articles in external media publications. The winner(s) will have three months for travel and research and three months for writing. Winner(s) can work from anywhere in the world. Proposals will be evaluated based on the originality of the idea and the ability to write and publish a series of interesting and engaging stories. The winner(s) will have three months for travel and research and three months for writing. You can work from anywhere in the world.